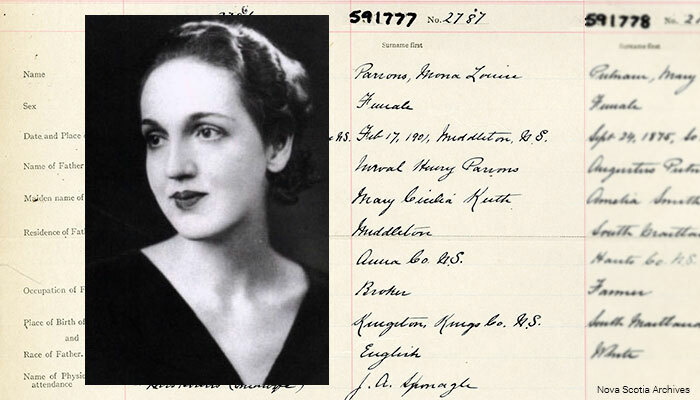 Mona Parsons, a member of the Dutch Resistance and the only Canadian woman to be imprisoned by the Germans during the Second World War, is Nova Scotia’s 2018 Heritage Day nominee. This resource page includes links to archival and museum materials for classroom use in discussing her story, and the larger questions around Resistance to Nazi occupation in the Second World War. For the full account of Mona’s activities in the Dutch Resistance, her capture and remarkable escape from prison, see the Veterans Affairs Canada Infosheet (PDF), as well as the Canadian Encyclopedia article and her Heritage Minute. You’ll find some of Nova Scotia’s rich biodiversity living at the museum. Learn what animals eat and how it connects them to their surroundings, and join us as we feed and care for a variety of native animals. Join a museum Interpreter to experience Science on a Sphere technology. You may go on a Tour of the Solar System or get to see a little of everything with our Best of Science on a Sphere presentation highlighting the wide array of data available. At 95, Gus, the oldest known gopher tortoise, has been at the Museum for over 70 years. Why not join Gus for a snack and a stroll? Our Heritage Day event, Mon. Feb. 19, commemorates WWII heroine Mona Parsons and celebrates heritage with special guests and hands-on activities. Admission is free. Local historian and author Lynn MacLean will be on hand in our feature exhibit Hope and Survival to talk about how Pictou County experienced the Halifax Explosion and rushed to aid the city. Hot off the presses is her new novel for children which interweaves history with imagination to tell a story from a child’s perspective. Join weaver Rachel Robitaille, one of the featured artists of our Art In the Hall exhibit, who will be on hand to offer weaving demonstrations. Local multimedia artist Jon Raven Visser and Town of New Glasgow Artist-In-Residence Curtis Botham will be on hand for informal chats with visitors about their work and the latest installation by the Artatlarge Collective. Based on customer requests, our gift shop manager, Michael, has been on the hunt for out-of-print Nova Scotia and Pictou County histories. In this special Heritage Day-only promotion, these volumes are offered at cost. Check it out to find that long-sought-after volume you have been missing. Located in the heart of Halifax’s waterfront, there’s no better place to immerse yourself in Nova Scotia’s rich maritime heritage than the Maritime Museum of the Atlantic. From small craft boatbuilding to World War Convoys, the Days of Sail to the Age of Steam, the Titanic to the Halifax Explosion, you’ll discover the stories, events and people that have come to define Nova Scotia and its relationship with the sea. Ross Farm will be open for Heritage Day. Take advantage of the holiday to learn some local history and enjoy a day on the farm and go for a wagon ride. It's a great opportunity to check out the Vanguard 150 and Pollinating Constellation exhibits now on display in the Ross Farm Learning Centre. Have a fun and educational day on the farm the whole family will enjoy! The Black Loyalist Heritage Centre tells the story of the world’s largest free African population outside of Africa, in the late 18th century in Nova Scotia. In addition to the Centre, you can also visit historic buildings and the National Monument commemorating the Black Loyalist Landing in Birchtown in 1783. Enjoy free admission for the entire month of February at the Firefighters’ Museum of Nova Scotia. Also receive a free copy of our Circus Ship Fire book on Saturdays during the month of February.